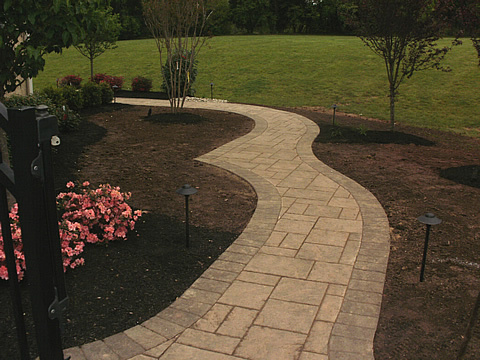 Our Expert Paver Patio installers create an outdoor living space. Using Techo-Bloc BLU paver with 6 x 9 border. 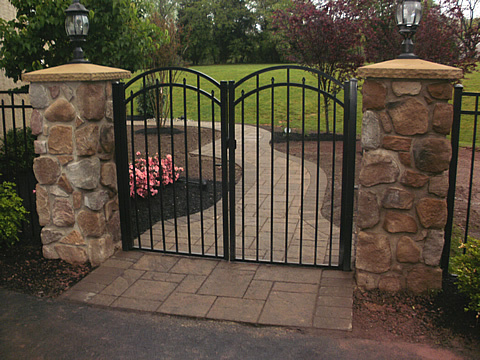 Planter Box created using Techo-Bloc 3" mini creta wall with aged cups. 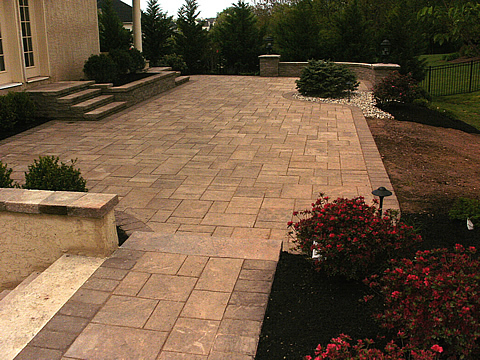 Techo-Bloc BLU Paver walkway in harvest gold and chocolate with Paresien Border.